Half the fun of buying a new Toyota is getting all the custom accessories that make it truly yours. 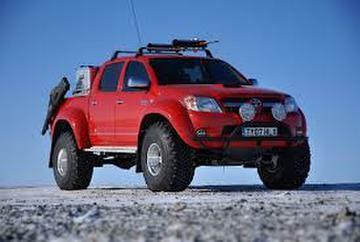 Always trust genuine Toyota accessories as being the top-quality choice for your lifestyle. Get the latest equipment you would need to personalize your car, truck, or SUV just the way you like it. Finding the right Toyota parts has never been easier. With Hometown Toyota auto online accessory search, you have full access to all the extras you want. No matter what you drive, you can find the best parts in Ontario directly from Toyota. Every make and model has its own selection of accessories. Take a look at the following models and their most popular additions. The new Toyota Prius models are designed to be customized to your expectations. Personalize the seats, dashboard, doors, exterior, and so much more. Explore all of Prius accessories below. Can’t find it? Contact Hometown Toyota Scion for accessories to help customize your Toyota Scion.